ASSA ABLOY is pleased to announce the release of the Yale Look Digital Door Viewer. 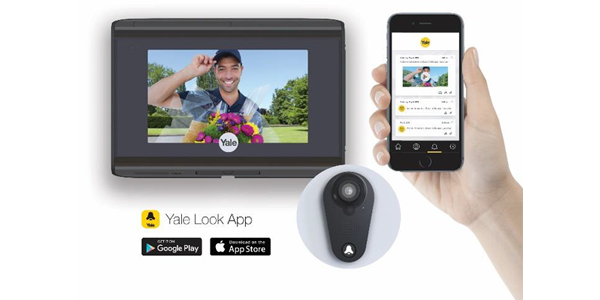 See, and speak to, visitors at your door from anywhere using the free Yale Look app for iOS or Android. The Look Door Viewer has a motion detector and doorbell so you’ll receive an alert on your smartphone when someone is at the front door. Engage in two-way communication with your visitors to let them know when you’ll be home and view a timeline history with photos and video to see recent activity. The Yale Look Door Viewer is available to order from 1 August and is available in either black or silver. Replaces existing peephole and installs in minutes with a screw driver. Fits standard doors 35mm - 57mm thick with a 14mm through hole. Compatible with iPhones iOS 9 or later and Android phones 4.3 or later. Download the Yale Look app, available on Google Play Store and App Store.